The upcoming LUCKY offers a juicy new treat! In collaboration with TanzScout Berlin, we are thrilled to present the very first LUCKY INSIGHTS – an hour of playful introduction, interaction & information. Come get the inside story on what goes on behind the scenes and learn how we create our program. Join Maren Witte, dance scholar and TanzScout founder, for an exclusive sneak peek into the pieces of our latest LUCKY series. Get in on the adventure – Saturday September 29th from 4.30pm to 5.30pm! The 18th LUCKY edition presents a bounty of fresh German premiers. Get lost in a meditative labyrinth, meet the ugly duckling who dances Swan Lake and puzzle over bemusing French games… Here’s your chance to sample the latest spicy mix of LUCKY bite-sized chunks! Katarina Witt, Amy Stafford – Studio Blixa 6, Erhard Knote, bug&pug partners, dtb rechtsanwälte, Weingalerie & Cafe Nö!, Ronald Lachmund, Ina Kamin, Maja’s Deli and enthusiastic encounters. MEDIA PARTNER // Berliner Fenster, radioeins and Dussmann Kulturkaufhaus. DOCUMENTATION // Walter Bickmann (Video), Daniel Barth (Foto). PHOTO David Weil // DESIGN Studio Blixa 6 – www.blixa6.com. 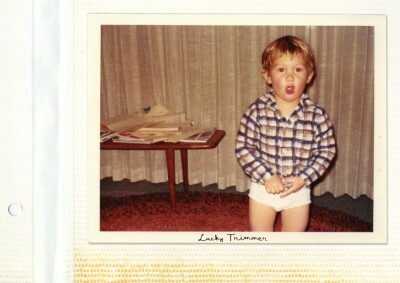 BE LUCKY // be a TRIMMER !